Voice over Internet Protocol (VoIP) is a type of technology that allows its users to make calls using broadband Internet rather than conventional or analog phone systems. 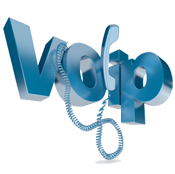 VoIP works by converting sound into digital voice communication and then transferring it through Internet broadband. Click below for more information. CSI is now offering Wireless Mesh WiFi networking for your Home, Office, Retail, Hotel or Marina. We can replace any broken laptop LCD display. 15 inch displays are around $130.00 and 17 inch displays are $190.00 depending upon the specific panel required. Please bring your laptop in so we can verify the panel and quote you an exact price. We have salvaged panels in stock which will save you money if you choose to have one installed. The bad-guys have every trick in the book at their disposal to infect your system. It's time to fight back with our guaranteed removal of all known Malware, Viruses and Trojans from your computer. We keep up-to-date with the latest threats to your system and want to see you back up and running as soon as possible. If you use Facebook or file sharing sites like BearShare or Limewire, odds are that your system is compromised right now. Our guarantee includes the removal of all threats, restoration of your anti-malware software(requires user provided media and/or product keys) or we'll install and configure an industry leading solution for your future protection. While your computer is on our bench we will clean-up and optimize your system so it's running the very best it can. If things are really bad and your system is beyond a clean-up, we also offer complete system rebuilds with a valid Product Key for XP, Vista and Windows 7. When you get your system back it will run just like the day you first turned it on or even better. Computer Solutions Inc. is a Gulfport, MS authorized reseller and service center for Hewlett-Packard, Lenovo, Linksys, Cisco, Microsoft and numerous other hardware and software manufacturers. We are local veterans of the technology field with over 40 years of cumulative experience. We provide a superior level of consultation, design, implementation, support and maintenance for all computer, network, printer, software and supply needs. : Quick and easy PASSWORD removal on XP, Vista and Windows 7 $55. Our clientele ranges from home users, small 2-5 person offices, 50+ user networks, to multi-state Virtual Private Wide Area Networks. We understand business expenses for in-house IT support can be overwhelming. We specialize in providing a cost-effective, efficient solution to those needs while at the same time offering services and support for all facets of Information Technology. Allow us to survey your business, help you resolve any problems you may have then propose any improvements or services that may benefit you while keeping your business as productive and streamlined as possible. References are available upon request. We service the entire Gulf Coast Region within a 60 mile radius of Gulfport including Biloxi, Ocean Springs, Long Beach, Pass Christian, Gautier, Pascagoula, Bay St. Louis.